This obituary is being posted as a courtesy to the Crowley family by Miller-Rivers-Caulder Funeral Home. All condolences will be forwarded to the family. 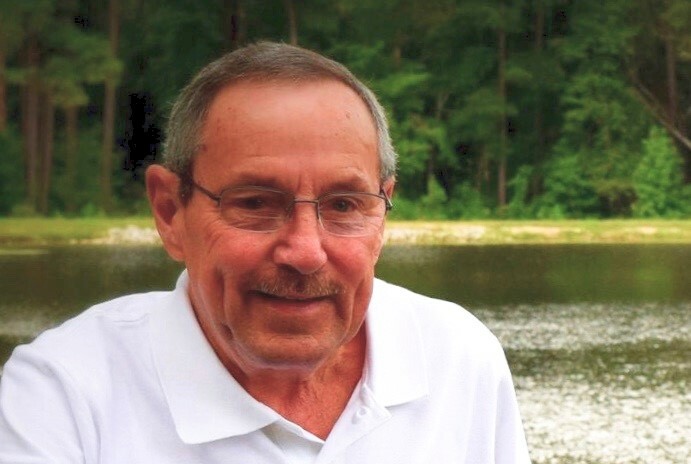 A Celebration of Life service for Mr. Donnie James Crowley, 68, will be held at 3:00 p.m. on Thursday, January 31st, 2019 at Spring Branch Baptist Church. The Rev. Buddy Amerson will officiate and the family will receive friends following the service. Brown-Pennington-Atkins Funeral Home is caring for the family. Memorials may be made to the American Heart Association, PO Box 5216 Glen Allen, VA 23058. Mr. Crowley entered into rest on Sunday, January 27th, 2019 . Born in Bennettsville, SC, he was a son of the late Moore and Ethelyne Wilkerson Crowley. He was a retired carpenter and was currently working for Newsome-Raceway Parts. He was a hard worker and very time conscious. He and his wife, Sandra were the owners and operators of The Curve. Donnie enjoyed making his famous sausage and will be missed by all that knew him. The family would like to extend their heartfelt gratitude to the doctors and nurses of McLeod Regional Medical Center for the loving care they displayed to Donnie. Surviving are his wife of 36 years, Sandra Atkinson Crowley of Patrick, SC; daughter, Cassie (Jamie) Terry of Patrick, SC; grandson, Cash Terry of Patrick, SC; stepson, Beauford (Lisa Hicks) Atkinson of Hartsville, SC; brother, Jimmy (Cheryl) Crowley of Greenville, SC; sister, Barbara (Maury) Feinstein of El Paso, TX; special sister-in-law, Gail Gainey of Hartsville, SC; special nephew, Squeaky Gainey of Hartsville, SC; beloved dog, "Maggie", also numerous nieces and nephews. He was preceded in death by his twin brother, Ronnie Crowley; brothers, Ronnie Crowley, Billy Crowley, Kenneth Crowley, Jack Crowley; brother-in-law, Clarence Gainey; his beloved golden retriever, "Cooper". Online condolences can be given at www.bpafuneralhome.com.